CBS News reports that the NYPD is actively considering how they will go about confiscating guns from law-abiding citizens should the anti-gunners succeed in passing a semi-auto ban. Given the massive civil rights abuses committed by the NYPD in the past, one can only imagine how many citizens will be assaulted, falsely arrested, or even killed should such an event take place. 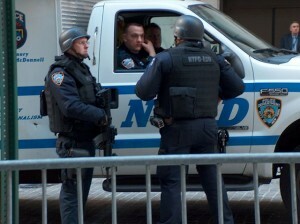 This entry was posted in Abuse of Power, Assault Weapons Ban, Confiscation, New York. Bookmark the permalink.